This issue of the Monitor examines international trade and the role of the G20. Over coming months the Monitor will cover in detail a number of issues that are, or should be on the G20 agenda. The next issue will deal with financial regulation and the role of the G20. International trade: what can the G20 do? If one of the main roles of the G20 is to be a circuit breaker in overcoming intractable international economic issues, multilateral trade liberalisation is a prime candidate for the G20’s attention. The record of the G20’s standstill on protection is mixed, particularly when it comes to the application of non-tariff barriers. But the G20’s record in helping to advance the conclusion of the Doha Round is poor. This has damaged the G20’s credibility on trade policy. Countries are withdrawing from ambitious attempts to open world markets in favour of pursuing preferential trade arrangements, particularly mega-regional agreements. This should be a concern for the G20. Trade policy needs to adapt to the reality that value chains are increasingly driving international trade. Goods are now made ‘in the world’. This issue of the G20 Monitor is devoted to the topic of international trade and the role of the G20. If one of the main roles of the G20 is to provide a circuit-breaker to intractable international economic issues, then the collapse in 2008 and continuing impasse in the WTO Doha Development Round of multilateral trade negotiations must be a prime candidate for the G20’s attention. Developments in international trade, the state of multilateral and regional trade negotiations, and the role of the G20, are covered in this issue of the Monitor with papers from Peter Gallagher, John Ravenhill, Mark Thirlwell and Brett Williams. These papers delve into some of the complex issues associated with trade negotiations. Keeping markets open is critical to meeting the fundamental objectives of the G20, namely promoting growth and creating jobs. As highlighted in the extensive work of the OECD, trade promotes growth, creates jobs and increases incomes. The G20’s record on the standstill – mixed at best. At their first meeting in Washington DC in November 2008, G20 leaders committed ‘…within the next 12 months, we will refrain from raising new barriers to investment or to trade in goods and services, imposing new export restrictions, or implementing World Trade Organisation (WTO) inconsistent measures to stimulate exports.’ This standstill on protection was extended at the London Summit in April 2009 until end-2010, renewed for a further three years until end-2013 at the Toronto Summit in June 2010, and extended again at the Los Cabos Summit until end-2014. But as outlined by Mark Thirlwell, even an assessment of compliance with the standstill on protectionism based solely on the reports commissioned by leaders from the WTO, OECD and UNCTAD is a mixed one. There has been a steady accumulation of trade restrictions by G20 members, although as Thirlwell points out, there has been no widespread retreat to protectionism. This is an area where the G20 has claimed credit. However, as Thirlwell also notes, other trade policy assessments are not as sanguine as the official product, pointing to a rise in ‘murky protectionism’ in the form of non-tariff barriers that are not subject to multilateral trade rules. In terms of concluding the Doha Development Round, the G20 has failed to show leadership. At various summits, leaders committed to completing an ‘ambitious and balanced’ conclusion to the Round, and trade representatives were instructed to use ‘all negotiating avenues’. At the Seoul Summit, leaders said that they recognised that 2011 was a critical window of opportunity and they were now entering ‘the end game’. But this sense of urgency and commitment did not appear to be transmitted back to the trade negotiators in Geneva, and rather than ‘ending the game’ with a successful conclusion, the Doha Round appears to have collapsed in failure. The G20 has conspicuously and repeatedly failed to deliver on Doha, damaging its credibility on trade policy. Brett Williams provides a summary of the political problems associated with multilateral trade liberalisation and how such influences have resulted in the proliferation of discriminatory trade agreements. John Ravenhill outlines the change that has been taking place in international trade with value chains being the principal engine of globalisation. The fragmentation of production has dramatically transformed the structure of international trade, integrating developing economies into manufacturing networks. International trade increasingly represents trade in components as part of the production of a product. With global manufacturing, goods are now ‘made in the world’ rather than in a single country. Ravenhill points out that one implication of the rise in global value chains is that traditional trade statistics, which are measured on a gross basis rather than value-added, are obsolete. As such, much of the concern over bilateral trade imbalances is clearly misplaced. Furthermore, Thirlwell points out that with economies so interconnected and integrated, traditional trade policy is no longer an effective tool to assist domestic industries, and that traditional understandings of trade policy based on these older approaches are similarly obsolete. He also notes that the same applies to the WTO, which, distracted by Doha, has not kept pace with the need for new rules governing the intertwining of trade, investment, intellectual property and services. In short, the rise of integrated global value chains require a change in the traditional mercantilist approach to trade, which views exports as ‘good’ and imports as ‘bad’. Where next for the multilateral trading system? The Doha Round is at an impasse. Some would say it is dead. But does this also apply to the overall commitment of WTO members to the multilateral trading system? A decisive milestone may well be the outcome from the WTO 9th Ministerial Conference (MC(9)) that will take place in Bali from 3-6 December 2013. The approach to MC(9) is meant to reflect recognition that because not all the elements of the Doha Round can be concluded simultaneously, different negotiating strategies will be employed in an effort to advance areas where progress can be achieved. The areas identified for delivery at MC(9) include trade facilitation (an agreement on reforms to streamline the movement of goods across borders), agriculture (including the controversial issue of whether building food stockpiles is a form of subsidising agriculture) and specific issues relevant to least developed countries (LDCs – including implementing an agreement for granting duty-free and quota-free access to goods originating from LDCs, and special and differential treatment for LDCs which exempts them from some WTO rules). A successful outcome of the Bali WTO trade ministers meeting would mean that there was still life in the multilateral system – and in the WTO as a negotiating forum for trade liberalisation. But the prospects are not promising. In a statement released on 2 May 2013, the current WTO Director-General, Pascal Lamy, warned that the current pace of work was insufficient to deliver outcomes at MC(9) in Bali. Extend the deadline for standstill and monitoring protectionism until 2015, further strengthen the monitoring system and explore incentives to roll back protectionism. Commit to the WTO Trade Facilitation Agreement and finalise the text of the agreement by the September G20 summit and conclude the final agreement at the Bali Ministerial in December. Encourage the leadership role in establishing principles to guide the design of preferential trade arrangements with the aim of making them compatible with and complementary to WTO rules. Place international trade at the heart of the G20’s commitment to deliver economic growth and employment. Extend, upgrade and refine the standstill agreement on protectionism to cover WTO-consistent measures of protectionism (non-tariff barriers). Harvest what can be saved from the Doha Round by reaching agreement on trade facilitation, duty-free and quota-free access for LDC’s goods, phase out farm export subsidies, reform the WTO dispute settlement system, and introduce new disciplines on food export controls. Encourage the WTO to bring the trade policy agenda into the 21st century, recognising the importance of services trade and global supply chains. Recognise the scale of the proposed/pending mega-regional trading arrangements and seek to negotiate the provisions of the mega-regionals with a beforehand view to their global application. Positive provisions in the mega-regional arrangements are likely to set global standards which would be adopted by countries outside the region. Advance plurilateral agreements within the WTO, whereby subsets of countries with ambitious trade agendas could forge ahead with agreements on certain issues and at the same time allow those countries with reservations to stand aside. Williams advocates that G20 members take small, tangible steps towards non-discriminatory trade liberalisation. His argument is that if there is no multilateral agreement to reduce trade barriers, and the trend is towards discriminatory regional arrangements, then there will be no mechanism to move towards less rather than more discrimination. As such, he believes the G20 should take incremental steps to reduce margins of preference and continue to gradually eliminate discrimination in international trade. Is there a need for a multilateral investment agreement? Ravenhill questions whether there is also a need to negotiate a global treaty on foreign direct investment. The fragmentation of production processes, which has driven global value chains, is generally thought to be associated with the rise in foreign direct investment (FDI) into developing countries. As such, facilitating FDI is considered an important component of helping developing countries become plugged into global value chains. Accordingly, the establishment of a multilateral investment agreement which would regulate certain aspects of FDI and standardise investor protection is often presented as assisting developing countries access to FDI. The B20 supports the development of a ‘G20 investment agreement’. The preliminary recommendation to leaders from the B20 investments and infrastructure working group was for G20 members to reinforce cross-border investment activity by agreeing on a set of recommendations governing a G20 multilateral investment framework and setting minimum standards to be endorsed by all G20 governments. Ravenhill, however, says that the relationship between FDI and global value chains is not straightforward. Significant numbers of global value chains are associated with little or no foreign direct investment. Rather than a multilateral agreement, there has been a proliferation of bilateral investment treaties (BITs), and many of the recent bilateral trade agreements have chapters on investment. The argument can be made, however, that the large number of BITs (the average country has more than 35 international investment agreements) demonstrate the need for a multilateral investment agreement. As things currently stand, a potential investor seeking to locate a production facility overseas would have to examine a vast number of bilateral agreements. Ravenhill points out that previous attempts to negotiate a global investment treaty foundered on conflicts over the balance of rights and responsibilities and it is unlikely that new attempts will be any more successful. Any trade agreement, be it strengthening and extending the standstill on protection or harvesting components from the Doha Round such as a Trade Facilitation Agreement, will be very difficult to conclude. But if the G20 is to be the premier forum for international cooperation, then one of its highest priorities should be in maintaining the multilateral trading system and the multilateral approach to trade liberalisation. Previous G20 summit declarations have contained rhetoric on trade, but this has not translated into tangible action. To breathe life into the multilateral trading system will require a focused effort by G20 leaders. All members of the G20 must rely on the policy guarantees of the WTO to secure their trade policy interests during the coming global economic transition in which China will displace the United States as the world’s largest economy. But both China and the United States (the G-2) have chosen to pursue regional trade strategies that ignore each other and the WTO (except as a means of managing trade disputes). This is more harmful to the future of the multilateral trading system than the collapse of the Doha negotiations. This paper evaluates options for restoring the momentum of trade negotiations in the WTO that will maintain the credibility of the multilateral system, engage the interests of the G-2, and minimise the divergence of interest that led to the collapse of the Doha negotiations. Specifically, G20 economies should seek to translate modalities for the liberalisation of goods, non-tariff measures (NTMs), and services restrictions in mega-regional agreements to agreements in WTO. This would be a substantial commitment to the continuing credibility of the multilateral system during a period of global economic transition. Trade agreements signal to both domestic and international agents the direction that a government’s commercial policies will take for some indefinite period. If an agreement contains credible commitments, firms, households and investors will adapt their own expectations and plans quickly, perhaps before the agreements enter into force. This signalling process accelerates and smooths adjustment by ensuring that all stakeholders are on ‘the same page’ when the associated domestic reforms are implemented. Choosing not to participate in or conclude a trade agreement is also a signal. That is why the collapse of the Doha negotiations in December 2008 was so resonant. It appeared to signal that governments were withdrawing from ambitious attempts to open world markets. Coming at a time when a collapse of confidence in global financial markets was dragging the world economy into a deep recession, the signal seems particularly portentous and gloomy. Now the global economy is making a slow, uneven recovery with many regions still experiencing weak growth and barely managing their debt burdens, there is again reason to ask what signals governments are sending by their trade negotiation initiatives. The two most prominent members of the G20, the United States and China, whose disagreement in Geneva in 2008 finally pulled down the rickety Doha negotiations, have now chosen to signal a continuing divergence in their trade objectives that the G20 should view with disquiet, if not alarm. The discriminatory mega-regionals now being actively pursued by the Obama administration, especially, threaten to divide the trading system into two large, although non-exclusive, regions defined by the discriminatory preferences in the US-led agreements. One bloc will include Europe, Japan, the ‘British offshoots,’ Mexico, Peru and Chile. Those discriminated against will include all of the giant emerging economies including China, India, Indonesia, Russia, Brazil and Nigeria. In view of the continuing changes in the distribution of world trade and production – characterised by the relative dynamism of the emerging economies and the slowing of the rest – this policy seems foolish, at best. As the centres of economic ‘gravity’ move over the next twenty years, only the multilateral system will provide a universal guarantee of, and enforceable rights to, non-discriminatory treatment of trade. On the narrowest construction, the distance between success and failure in the 2008 efforts to drive the Doha Round to a conclusion was the distance between the United States’ and China's negotiating positions. The USTR, Susan Schwab, believed the Administration could win Congressional approval for a 'package' deal that included some – rather small – cuts in US farm subsidies plus some additional concessions from China on cuts in non-agricultural protection. China demurred: it had at least four years to run under the stiff (and even prejudicial) transitional terms of its Protocol of Accession to WTO that brought its commercial policies in line with the most liberal standards for a low-medium-income developing economy. Since then, neither in the United States nor China is there any indication that preferences have changed in favour of multilateral market-opening initiatives. The Obama administration has chosen to peg the trade policy goals of its lame-duck second term to two regional ‘mega-agreements’ – the Trans-Pacific Partnership (TPP) and the Trans-Atlantic Trade and Investment Partnership (TTIP) – that spin the words ‘free trade’ out of the title. Each has strong marquee value as a foreign-policy initiative and in combination seem geographically comprehensive. But the most remarkable aspect of President Obama's trade policy initiatives is that they avoid constructing any bridge to the United States' most significant trading and investment partner. China is already the United States' top supplier of imports and third largest export market and by far the fastest-growing foreign direct investor. China is also very likely to be the world’s largest economy within the next twenty years, strongly suggesting that the United States would want to have every opportunity to build clear access to Chinese producers and consumers. At best, the United States policy might be explained as a response to the fact that China is presently showing no signs of interest in building that bridge either. But that characterisation would be more generous than necessary to the Obama administration, which seems to have structured its TPP participation in a way that discourages Chinese accession to the negotiations. Since 2011 when the United States became involved in the negotiations, the agreement seems to have been structured as a 'hubs and spokes' agreement of smaller economies with the United States as opposed to a plurilateral structure – like the European Communities, for example – where all parties have uniform rights and obligations. The subsequent accessions of Canada, Mexico and Japan to the negotiating group confirm this US-centric format, since each followed a bilateral negotiation with the United States in which terms for joining the TPP that reflected US objectives were agreed upon. Although it is no surprise that the United States and other TPP parties would want all those joining the negotiation to pre-commit to the general objectives (e.g. ‘free trade’, innovative agreements on non-border regulations, simplified rules-of-origin etc.) it is easy to understand why China would be as unwilling also to meet preconditions set by the United States for its participation in a region-wide, nominally plurilateral, framework. Not surprisingly, the United States TPP initiatives have been widely perceived in China as hostile to China's interests and to its role in the Pacific region. Supporters of the President's program boastfully describe participation in the mega-regionals as a test distinguishing ‘leaders and laggards’ in world trade. For its part, China too has taken some – more tentative – steps in the construction of a network of regional trade relationships that exclude the United States. For an economy of its size, China has ratified relatively few bilateral agreements; it has a 'partial coverage' regional agreement with ASEAN, and FTAs with three relatively small Pacific economies (Chile, Costa Rica, and New Zealand). In 2012, China agreed to join talks on a 'mega-regional' agreement – the Regional Cooperative Economic Partnership – led by the ASEAN countries and that includes Japan, Australia and India but does not extend to the United States. The RCEP has been described by the official Chinese media as 'countering' the TPP. To appreciate why this mutual disengagement by China and the United States is bizarre and worrisome, it is useful to take a step back and view it in the perspective of the past twenty, and the next twenty, years. Even if the world tomorrow were likely to be much like the world today it would be disquieting that the United States and China should have chosen trade agreement agendas that further embed the misalignment that stymied the WTO. Both have actively employed the WTO dispute settlement process to define the margins of their trade relations: 8 of the 11 complaints brought by China have been against the United States and 15 of the 30 cases in which China has been the respondent have been US complaints. But to rely for management of disputes on the provisions of the very trade framework that their divergent policies have weakened seems like a recipe for instability. In reality, the probability that the distribution of economic power tomorrow will be quite unlike the distribution today elevates ‘disquiet’ to ‘consternation’. Between now and 2030 the centre of gravity of the global economy will move across the Pacific. The new order will be characterised (in ways that are not yet clear) by the dominance of large economies that are not particularly wealthy. China will be the world's largest economy, probably by a substantial margin, and its success will have been secured by the multilateral trading system. Although there is little sign of it so far, the wealthy economies will eventually have to contemplate the implications of their displacement from the economic dominance they have enjoyed for two or three centuries. A multilateral system that abstracts from pure power, and which was originally designed to safeguard their markets from the exercise of coercion by one of their own number, is now likely to be their best guarantee that the new, emerging, powers will be similarly constrained. So it is all the more worrying that the WTO, on whose provisions all of the G20 rely, is struggling to remain credible in the face of the G-2's embrace of mega-regional agreements and will not be in a strong position to claim their full adherence if their economic interests diverge further during the ongoing reallocation of economic power between them. For the past four or five years, the multilateral system has 'muddled through’; although there has been no obvious deterioration, there has also been little forward momentum and it retains the role of the inevitable trade regime that almost every state has joined or intends to join. What could the G20 do to ensure that the multilateral framework continues to thrive and that it continues to supply effective guarantees for the future interests of the less powerful wealthy as well as the more powerful middle-income giants? Regrettably, despite the contribution that the WTO's guarantees have made to its economic achievements, China remains hesitant to participate in collaborative management of a global trade 'commons' that extends across customs borders. China remains attached to a state-centric, 'Westphalian' or 'non-interference' model of the global polity. According to Western analysts, China has little or no interest in the trading system as an international public good, and shares few or none of the liberal economic governance norms that underlie the GATT and WTO and that are reflected in their respective Preambles. Although it has gradually begun to support some moderately revisionist objectives for international institutions intended to redress ‘inequities’, China still conceives of its own responsibilities as ending inside its borders. Accordingly, there is so far no sign, for good or for ill, that China considers leadership in the trading system as a significant or beneficial means of projecting its already considerable trade power. With little prospect of mutual entente between the United States and China on action to restore vigour to the multilateral trading system, the G20 must seek alternative ways to reinvigorate the multilateral system. But resumption of the multilateral negotiations remains, probably, out of its reach. To avoid a repetition of the Doha debacle, either the agenda for future negotiations must address only those concerns which are shared by all WTO members, or the negotiations must adopt a 'critical mass' approach to decision-making that avoids the clumsy 'Single Undertaking' expectation that all members will participate in every negotiation and abide by every rule. A ‘critical mass’ approach has the advantage of extending the WTO's frontiers – albeit at the cost of accepting free-riders on the plurilateral agreement embodying the results of the negotiation. In fact, WTO members have already taken some steps on both of these paths. The negotiations aimed at completing an agreement on Trade Facilitation by the end of 2013 address a multilateral interest that seemed universally shared by members even in 2008 when the rest of the Doha agenda collapsed. Twenty-one members are also exploring services negotiations aimed at extending the Uruguay Round services schedules of commitments on a plurilateral, ‘critical mass’, basis. If these efforts succeed – by no means certain – they will open or improve the operations of valuable markets and provide some evidence of the continuing commitment of members to the system. But they fall short of resolving the divergence of interests. China is participating in the Trade Facilitation negotiations, but not in the proposed Services plurilateral. The United States is engaged in both. A more ambitious suggestion comes from World Bank economists Aaditya Mattoo and Arvind Subramanian. They urge a comprehensive China Round: ‘a China-inspired agenda – whose aim would in fact be to anchor China, to the maximum extent possible, in the multilateral trading system.’ They suggest multilateral negotiations that would further cut duties to compensate for China's relatively low level of preferential access to goods markets; significantly improve services commitments – relatively weak in China's 2001 GATS schedule – by cutting barriers to below the level currently prevailing in most WTO economies; clarify rules on foreign direct investments; extend the liberalisation of government procurement; and develop new disciplines giving more secure access to food and energy resources. These are sensible suggestions. But it seems very unlikely that such a round of negotiations would recommend itself to WTO members unless China itself were to pursue it and to be willing to 'deal' in order to make it happen. While China does not show that level of interest or initiative in the WTO, it would be unrealistic to expect other governments to come forward with unilateral offers. Richard Baldwin has tried to define a zone of convergent interest – for the G-2 among others – in a plurilateral agreement he calls ‘WTO 2.0’ that would drive 'complex' deepening of trade commitments, especially on investment and intellectual property (IP), among those economies deeply engaged in supply network trade. These topics have already been on the WTO agenda in one way or another, including as parts of the Doha Round agenda (known as the ‘Singapore Issues’) that were abandoned at the Cancún Ministerial Meeting in 2003, so Baldwin is probably right to assess that WTO is not about to pursue them. He observes that the ‘deepening’ of market-integrating rules in these domains is on the agenda of some of the ‘mega-regional’ agreements. But, he argues, the mega-regionals cannot create the kind of broad, quasi-global advances that would most benefit supply-network trade. Accordingly, Baldwin advocates the creation of a ‘WTO 2.0’ to house such agreements, by which he seems to mean a plurilateral, ‘critical mass’ agreement outside the precincts of ‘WTO 1.0’. It is not clear, however, that China’s interest in supply-network trade would overcome its reluctance (above) to engage in ‘deeper’ regulatory integration so the ‘quasi-global’ character of ‘WTO 2.0’ must be in doubt from the start. It might, in any case, be a self-defeating way to support supply-network trade. The majority of the rules governing trans-border trade are contained in ‘WTO 1.0’. They are even more fundamental to trades that cross multiple borders than the investment and IP issues that Baldwin prioritises. Creating a ‘WTO 2.0’ will do nothing to restore support for ‘WTO 1.0’; on the contrary it will signal a loss of confidence in the organisation. But the refinements of a ‘WTO 2.0’ would be useless if the foundations in ‘WTO 1.0’ begin to crumble. As described by the participating governments, the objectives outlined for the mega-regional agreements (RCEP, TTIP, and TPP) are to pursue comprehensive and innovative market liberalisation. If we accept that they are now inevitably one part of the new trade reality, how can they be made to signal something more positive about the future of the non-discriminatory multilateral system? Would it be possible to provide a path from Regional Trade Agreement (RTA) based reduction and elimination of trade barriers – especially NTMs – to multilateral reduction and elimination of the same barriers on a non-discriminatory basis? ‘Multilateralising’ the provisions of RTAs is a program that, so far, has no subscribers; despite much talk and enthusiasm for the idea, there has not been a single incidence of a regional trade liberalisation provision being transformed into a multilateral agreement after the fact. Also, even if the parties to the RTA are willing to dilute their discriminatory benefits by extending some aspect of their agreement to the rest of the world, the provisions of regional agreements are usually so specific to the regional context that they do not readily translate to the multilateral level. One distinguishing feature of the mega-regionals, however, is their scale, which to some degree overcomes the problem of regional specificity. Each of the mega-regions includes economies that account for a large proportion of world production and trade. In 2011 the TTIP partners accounted for half of world output and almost one third of world trade; the TPP partners account for about 40 per cent of world output and RCEP participants about 30 per cent of world output in 2011. On account of this scale alone, any positive obligations accepted by the partners of one or other of the mega-regionals is likely to set a globally-relevant standard for trade or related regulation. For example, the proposed Trans-Atlantic Trade and Investment Partnership (TTIP) will address industrial and services standards and professional accreditation differences between the United States and the EU. By virtue of the size of the TTIP region, the adoption of joint or homologated standards by these two would likely set a world standard that could prove attractive on a commercial basis to manufacturing and services firms in many regions of the world, providing the basis for a multilateral (or at least 'critical mass') adoption by countries outside the region. A similar potential may be found in the other ‘mega-regional’ agreements – TTP and RCEP or even the proposed EU-Japan RTA – for progress on NTMs in phytosanitary and technical barriers to trade; accreditation and professional standards barriers to business services; IP protection barriers; competition policy protection barriers; trade and customs facilitation; and, the scope of temporary protection such as anti-dumping and safeguards. A second distinguishing feature of the mega-regionals is that they centre on the G-2, with the United States playing a leading role in two of the largest and China being the likely largest participant in the third. Seen in a positive light, this polarity offers an opportunity for parsimony in the creation of positive provisions/standards in each of the mega-regionals, greatly enhancing the chance that they might be adopted multilaterally. If the same regulatory provisions or the same or similar standards (or methods for aligning variant national standards) were promoted by the G-2 in their mega-regional negotiations, the ‘playing field’ covered by these agreements would be more level. But early action would be needed to secure such an outcome. By the time the schedules to the agreements are written the opportunity for alignment on trade regulation among the new trading blocs will have disappeared; the ‘multilateralising’ agenda will again fail. The challenge is to negotiate these provisions of the mega-regionals with a beforehand view to their global application. Could the G20 do something to promote a beneficial alignment between the mega-regional trading blocs? If it is inevitable that these agreements will characterise the trading system in the first half of the 21st century, the G20 has an interest in pressing its leading members to adopt harm-minimising strategies for their agreements that will minimise mutual discrimination. Specifically – in the language of trade negotiators – they should encourage intra-regional collaboration on ‘modalities’ for eliminating tariff and tariff-quota protection, for eliminating or minimising non-tariff-measures (including industrial and phytosanitary standards) and for opening services markets (including by advances in mutual recognition or harmonisation of professional standards). Collaboration among G20 members to pre-align ‘modalities’ does not necessarily mean having the same thresholds, time-frames or trade coverage for the implementation of positive provisions in each of the mega-regionals. Nor does it mean the same outcomes in each agreement. It means only that the same barriers to trade would be liberalised in the same way. This is useful in negotiations on NTMs and services market restrictions because the impacts of the restrictions themselves resist direct measurement and comparison. In these domains, ‘reciprocity’ in trade agreements is typically defined by the use of the same regulatory modality – say, compliance with the same international phytosanitary standard, or making the same proportional changes to a tariff-quota threshold, or prohibiting the use of certain forms of production support, or agreeing to the access to local enforcement measures for intellectual property protection – without attempting to measure and specify outcomes in different markets. An ‘intra-regional’ framework adopted by the G20 would aim to provide a consistent framework for use in the future by all WTO Members, but would also provide a basis for minimising inconsistencies between the provisions of mega-regional agreements. A uniform framework of modalities would also facilitate harmonised terms of accession to each of the mega-regionals for economies that are not initial participants. It might, for example, permit a member of the RCEP, such as Indonesia for example, to identify a clear path to membership of the TPP based on a different set of thresholds or time-frames or coverage applied within the same regulatory framework as it had accepted in the RCEP. If the G20 is sufficiently seized of the danger that the mega-regional agreements will fracture the multilateral trading system, there is still time to develop an inter-regional framework of modalities. As at mid-2013, the participants in the TPP are still aiming for a final draft agreement by the end of the year. The participants in the TTIP are still working on their statements of objectives, while the participants in the RCEP are at an even earlier stage of the groundwork for their agreement. The challenges that would be involved in such a ‘meta-framework’ for negotiations are not trivial. But they are almost certainly less than those faced by the Doha negotiators. The modalities framework need not, after all, be a binding agreement between the framework subscribers. It could be a G20 ‘code of practice’ for the mega-regionals for reference during their negotiations and could be revisited in the light of experience during the mega-regional negotiations. China, the EU, India and the United States would be essential subscribers to the framework but they would not be asked, as they were in the Doha negotiations, to commit to specific outcomes in their mega-regional negotiations. Instead, the framework would signal their intention to, for example, eliminate certain classes of NTMs (export prohibitions and subsidies; all quantitative measures; services restrictions based on nationality…); or to cover certain aspects of competition and investment laws; to favour the recognition of international professional standards; to adopt the same approaches and time-frames for aligning product standards among members of the regional agreement; or to use the same (simplified) approaches to specifying preferential rules of origin. G20 member governments should be seriously concerned by signals from the G-2 about the direction of their trade policy during the next few decades that will also see an unprecedented historic transition in global economic ‘mass’. The proposed mega-regional agreements will undermine the value of a key asset in the trading system: the multilateral agreements of the WTO. Most of the G20 will be losers from any weakening of WTO guarantees of non-discriminatory treatment during this period of economic transition. A declaration by G20 economies participating in the TPP, TTIP, RCEP and EU-Japan mega-regional agreements that they will seek prospectively to align modalities in those agreements for the liberalisation of goods, NTMs and services and, in principle at least, that they will offer these modalities as the basis for future WTO agreements that would be open to accession by other WTO members, would help to maintain a credible future for the non-discriminatory multilateral system. Value chains have been the principal engines driving globalisation. Starting in the 1960s, companies increasingly began to move some of their operations offshore, seeking to reduce costs by sourcing components or conducting labour-intensive operations in countries with lower wage rates. This ‘fragmentation’ of the production process was facilitated by three developments: increasing liberalisation of trade and investment regimes; changes in technology that substantially reduced the costs of transporting goods; and the emergence of new business models. Companies that controlled the various stages of production – from research and development to manufacture to marketing and distribution – were able to concentrate on those stages that were most profitable. Beginning with the athletic footwear industry – the ‘Nike model’ – companies increasingly opted out of the manufacturing process rather than themselves establishing subsidiaries offshore, generating their profits from their control over design, brand name, and distribution. Although they often did not have any equity stake in their suppliers, they provided critical inputs such as the blueprints for products. The electronics industry quickly followed this model, with many of the big-name companies in computing and mobile phones outsourcing their manufacturing. The logic of the business model has been carried furthest in recent years by Apple, which derives its profits from its control over research and development, proprietary technology, brand name, and distribution channels, but contracts other companies to make its products. The fragmentation of production has dramatically transformed the structure of international trade, integrating developing economies into manufacturing networks. By the middle of the first decade of this century, for instance, manufactures accounted for 85 per cent of the total merchandise exports of developing East Asia and they constituted nearly three-quarters of ASEAN’s exports. International merchandise trade is now increasingly based on vertical specialisation, that is, trade in components that are part of the same product. World trade in components increased substantially in the first decade of the 21st century, up from 24 per cent of global manufacturing exports in 1992–3 to 54 per cent of the total in 2003. In the same period, the share of developing economies in exports produced within value chains doubled, primarily because of growth that occurred in East Asia. In 2007-8, exports within value chains accounted for fully 60 per cent of East Asia’s manufacturing trade, in comparison with a world average of 51 per cent. The incorporation of China into global value chains has been a major factor in the transformation of international trade: in 2000-2008, China accounted for two-thirds of the world’s processing exports (followed by Mexico with slightly under one-fifth). Although typically more difficult to measure, trade in services has become an increasingly significant dimension in the development of value chains. The significance of value chains had long been recognised by economic geographers and theorists of international business. Increasingly, the economics profession has acknowledged that the contemporary structure of international production and trade bears little resemblance to traditional theories of international trade. In turn, the major multilateral economic institutions have become interested in value chains and their implications for policies on trade and development. Global value chains have, in the words of the WTO’s Director-General Pascal Lamy, produced ‘a new paradigm where products are nowadays “Made in the World.”’ If, indeed, there is a new paradigm, what are the implications for how we conceive of international trade – and what policy implications for the G20 flow from this reconceptualisation? At the Pittsburgh summit, leaders of the G20 agreed to work together to ensure a lasting recovery from the global financial crisis and to establish the foundations for strong and sustainable growth in the medium term. The Framework for Strong, Sustainable and Balanced Growth launched at Pittsburgh is the centrepiece of the Group’s approach. Through the Mutual Assessment Process, the G20 aims to establish growth objectives for the global economy, the policies needed to reach them and (with support from the IMF) mechanisms for assessing progress towards the agreed goals. At the Paris meeting of G20 finance ministers in February 2011, agreement was reached on the indicators that would be monitored as part of the Mutual Assessment Process. One of the indicators that figured prominently was external imbalances ‘composed of the trade balance and net investment income flows and transfers’ (in addition to various indicators of domestic balances such as public debt and fiscal deficits, and private savings and debt). Trade imbalances have been the indicator that – since the demise of the gold standard in the 1920s – has attracted the most attention from politicians and the media, even though a focus on trade balances, particularly those between pairs of countries, makes little sense from the perspective of economics. Data on the balance of trade are convenient, however, in that they are relatively easily calculated and are seemingly intuitively plausible gauges of whether or not countries are behaving responsibly in their international economic relations. The advent of global value chains, though, has significantly complicated the calculations of trade imbalances. The most vivid demonstration of the new complexities of international trade balances has come through work that has focused on the geographical distribution of value added in several of Apple’s flagship products. Although these are ostensibly ‘Made in China’ – and for balance of trade purposes, their full value is classed as a ‘Chinese’ export – only a very small portion of the total value of the product is actually added within China. For one iPhone4 assembled in China (by the Taiwanese company Foxconn) and sold in the United States, trade data would indicate a Chinese export valued at $194.04. Slightly over $24 of this figure consists of components sourced from the United States: one iPhone4 consequently would contribute $169.41 to the bilateral US trade deficit with China. However, all of the components for the phone are actually sourced from elsewhere: China’s value added consists only of the labour used in the assembly, a total of only $6.54. When measured on a value-added basis, most of the cost of the iPhone4 import is attributed to other countries, notably Korea (Samsung supplies the display and memory chips for the phone). Xing and Detert estimate that imports of iPhones alone contributed close to $2 billion to the recorded US trade deficit with China. If these imports had been measured in value-added terms, however, the figure would be less than $75 million. The iPhone example is but one dimension of the complications that the spread of global value chains have caused for measuring trade imbalances: again focusing on what is currently the most politically sensitive imbalance, that between China and the United States, the WTO estimated that the overall US trade deficit in China would have been cut by more than 40 per cent in 2008 if it had been measured in value-added terms rather than by conventional national trade statistics. But it is not just the US-China trade balance that looks remarkably different when measured in value-added terms: the substantial trade deficit that Korea runs with Japan largely disappears when trade is measured in value added. One important implication of the growth of value chains therefore is that new measures of international trade are required if sound policies are to be adopted both to identify and to rectify global imbalances – a need recognised by the WTO and OECD in their joint project to produce a database on ‘Trade in Value Added.’ Value chains also constrain the effectiveness of policy instruments traditionally used to address trade imbalances: with final products being assembled from components sourced from many countries, a change in a bilateral exchange rate, for instance, may have unpredictable effects because it will not only weigh on the domestic content of a country’s exports but will also affect the cost of imported components. Data on value added also have the advantage of avoiding the current problem of double-counting that occurs when components cross borders before assembly into a final product (which leads, for instance, to a substantial overstatement of the overall significance of intra-regional trade in East Asia). Furthermore, measuring trade in value added provides a far more accurate indication of the contribution that services make to international trade. Value chains have been at the heart of the conventional wisdom that economic integration in the Asia-Pacific has been ‘market-driven.’ At one level, such arguments are correct – the Asia-Pacific, of course, lacks the supranational regional institutions of Europe. On the other hand, the role of governments in facilitating the growth of value chains should not be overlooked. Their contribution over the last three decades has taken many forms: the establishment of export-processing zones that permitted duty-free import of components for assembly into products that were subsequently exported, zones that were the basis for the early footholds that many countries in the region including China gained in these networks; similar but non-geographically specific provisions through duty-drawback arrangements; the unilateral lowering of tariffs (important throughout the region from the mid-1980s onwards); and government commitments in regional and global trading agreements, not least the 1996 Information Technology Agreement (ITA) that freed up a substantial part of trade in the region’s single most important export sector. Specific tariff provisions on the part of countries importing assembled products in some instances have encouraged outsourcing of a number of processes and the import of specific inputs, e.g., the US ‘yarn forward’ rule, which requires the use of US materials if the product is to benefit from US tariff concessions. Two extremes on the spectrum of policies are evident in responses to the rapid growth in the role of value chains. One is to suggest that the success of value chains is testimony to the effectiveness of current policies – whether unilateral measures by governments or global treaties such as the ITA: nothing more needs to be done. The other extreme is a stark reiteration of the ‘Washington Consensus’ agenda of the 1980s: if countries want to gain the full benefits of participation in global value chains then they should simply liberalise their trade and investment policies and take the state out of the economy as far as possible. Neither of these extremes is particularly helpful. While it is the case that export-processing zones and similar arrangements have facilitated the participation of developing economies in value chains, the potential gains to the local economy are constrained when participation in networks is confined to geographical enclaves. Better to make the duty-free import of components consistent across the whole economy. And while it is the case that nominal tariffs have fallen dramatically in many developing countries, tariffs can still be significant impediments. The effect of residual tariffs is magnified in a world in which components cross borders, sometimes on multiple occasions (final assemblers, for instance, may pay tariffs on their imported inputs and then face tariffs on the full value of their exports including these inputs). And while the Information Technology Agreement has frequently been hailed as the single most significant trade liberalisation measure since the WTO came into existence, the sector has developed substantially in the fifteen years since the ITA was signed so that the agreement’s coverage of products in this sector is increasingly incomplete. A strong case can be made for a substantially revised ITA. In other words, much can still be done through traditional trade policy agendas to facilitate the operations of global value chains. But efficiency within global value chains also depends heavily on non-tariff barriers that impede the movement of components and goods across borders. Among the most important of these are efficient customs procedures and processing, and standards setting and certification procedures. Here substantial potential exists for mutual recognition or harmonisation of product standards. These are the so-called ‘21st century’ trade issues that are figuring prominently in current negotiations such as those for the Trans-Pacific Partnership. The proliferation of global value chains has come at a time of unprecedented levels of foreign direct investment. The relationship between the two is not as straightforward as might appear from a superficial reading, however. Significant numbers of global value chains are associated with little or no foreign direct investment. This characteristic is particularly evident in what are often referred to as ‘buyer-driven’ chains that dominate the textile and apparel industry, for instance. Here the principal contribution of the lead firms to their suppliers is to provide the specifications to which goods are produced (and of course the marketing channels through which the final products are sold). Even in more technologically intensive sectors such as automobiles, the principal contribution of the lead firms in a value chain may be to provide blueprints and often technical assistance to their suppliers, sometimes seconding their engineers to work at their suppliers’ manufacturing plants. No equity relationship is involved. Other value chains may include foreign direct investment relationships but not those linking the home country of the lead firm and the countries doing the assembly. In the athletic footwear industry, for instance, the investment in Southeast Asia where plants manufacture for leading international brands such as Nike came not from the US company but from Korean and Taiwanese manufacturers. In electronics, much of the foreign direct investment – whether for Apple or for other mobile phone brands such as Nokia – again comes not from the lead firm but from electronic contract manufacturers based outside of Europe and North America. Outside of the industry relatively few people are aware of the scale of these companies: HonHai, whose Foxconn subsidiary assembles most of Apple’s products in China, has grown into the world’s 60th largest company (by revenue), with total sales in 2011 of over US$90 billion, more than 50 per cent above those of Apple, its principal customer. Although HonHai alone accounts for almost half of the total revenue of contract manufacturers, the industry features other large players including the Singapore-based Flextronics, ranked 334 on the Fortune Global 500, with 2011 sales of US$29 billion. There is little to suggest that global value chains are currently inhibited by the lack of a global treaty on foreign direct investment. Countries in East Asia have signed on to multiple bilateral investment treaties (BITs) (many more than the preferential trade agreements they have joined – agreements that have attracted far more attention). In 2011, East Asian countries were parties to 577 BITs: China alone was a signatory to 128. And many of the recent bilateral trade agreements also contain chapters on investment. While the effectiveness of some of these instruments is indeed debatable, the wisdom of attempting to negotiate a global treaty on foreign direct investment is also questionable. Each of the attempts to negotiate a global investment treaty – beginning with the International Trade Organization in the immediate post-war period through the OECD’s Multilateral Agreement on Investment in the second half of the 1990s – foundered on conflicts over the balance between the rights and responsibilities of foreign investors. In the current era where developing countries are more effective actors in global negotiations than ever before, agreement seems unlikely. And a global agreement is likely to face concerted opposition from civil society groups; the days have long since passed when Nike could claim that it had no responsibility for the labour conditions under which its shoes were produced because these were controlled by independent subcontractors. A country’s effective participation in value chains requires more than a simple liberalisation of its trade and investment regimes. Two issues are particularly noteworthy here. The first is that the countries that have been the focal point for value chains are ones that have good infrastructure that permits the easy movement of components and final goods within countries and across national boundaries. The answer to the question of why iPhones are manufactured in China rather than Indonesia lies in part in the latter’s poor-quality infrastructure, reflected in the time to ship a container from the local port to the US West Coast being nearly double for Indonesia. The second issue is that the gains to local economies will be limited unless they are able to move up the value chain. In this context, it is important to remember that the origins of the ‘fragmentation’ of production into value chains lay in the capacity of lead companies to choose to focus on those areas of activity where they could derive the most profits. Consider again the iPhone example. Apple’s profit on the iPhone is variously estimated to be between 58 and 64 per cent of the retail price. Roughly ten per cent of the profits go to components suppliers in Japan, Korea and Taiwan. The value added in China is less than one per cent of the product’s retail price. And, while this lack of local contribution to the overall value of China’s exports is extreme, it is symptomatic of a broader problem: less than one-fifth of the value of China’s ‘processing exports’ is estimated to originate domestically, and less than one half of the value of total exports. Not surprisingly, China’s leaders have expressed their determination to move from ‘assembled’ in China to ‘designed and manufactured’ in China. Frustrations with being stuck in the low-value-added activities in value chains have the potential to cause a trade policy backlash in developing economies. The World Bank has increasingly warned countries in the region – including China – that they risk becoming stuck in a ‘middle income trap’ where they are unable to compete with more technologically advanced countries and simultaneously are under pressure from lower labour cost economies. To escape this trap, countries need to move up the value chain, which inter alia, will require effective policies to strengthen innovation, enhance skills, and upgrade the capabilities of domestic suppliers. If the G20’s approach to value chains is to retain the support of developing economy members, then an agenda on trade facilitation will need to be accompanied by one that assists economies in upgrading their local capabilities. Global value chains have dramatically transformed international trade. For the G20, a number of implications follow. The first is that in addressing global imbalances through the Mutual Assessment Process, the G20 needs to eschew conventional measures of trade imbalances and focus on data that accurately reflect where the value of final products is actually created. Second, even though the various measures that governments have put into effect to facilitate the free movement of components have substantially reduced the significance of tariffs as impediments to the operation of value chains, the exceptions are still of sufficient significance that the traditional trade policy agenda of liberalising border barriers is still relevant. Third, behind the border barriers take on increasing importance both because of the fall in tariffs and because the need to produce regionally or globally will be facilitated by mutual recognition or harmonisation of standards. Fourth, the relationship between value chains and foreign direct investment is substantially more complex than is sometimes presented: little evidence exists that the absence of a global treaty on foreign investment is a significant impediment to the operation of value chains. Finally, while many developing economies are benefiting from participating in value chains through increases in employment and exports (and sometimes through inward foreign direct investment), the profits generated within value chains are distributed in a markedly uneven manner. Such disparities fuel nationalist sentiments in developing economies. Efforts by industrialised economies to promote trade liberalisation and facilitation within the G20 will need to be linked to an agenda that contributes towards the improvement of infrastructure and towards the upgrading of the capabilities of local firms if they are to gain sustained support from the G20’s lower income economies. As the world’s premier international economic forum, the G20 should have a keen interest in the maintenance of a robust multilateral trading system. Yet while the initial leaders’ summits made strong references to the importance of open markets, and of completing the long-running Doha Round of multilateral trade negotiations, subsequent meetings have seen trade slide down the agenda and witnessed a decline in the intensity of the G20’s pledge to refrain from protectionism. Meanwhile, the multilateral trading system itself appears to be losing relevance. Both trends are problematic since international trade, with its critical contributions to supporting global growth and employment, has an important role to play in assuring the health of the global economy. Just as the Framework for Strong, Sustainable and Balanced Growth (the ‘Framework’) and its commitment to delivering growth and jobs for the global economy should be at the core of the G20, so should international trade be at the core of the Framework. G20 leaders need to re-emphasise this central role of global trade and use their political influence to help restore the health of the multilateral trading system. While leaders have also discussed other trade-related topics, these two key commitments have been at the core of the G20’s approach to trade. When leaders introduced their one-year standstill on protectionism at the Washington Summit in 2008, the initial pledge came with no monitoring mechanism. However, at the London Summit in April 2009, leaders not only extended the standstill until the end of 2010 but they also tasked the WTO and other international organisations with providing quarterly monitoring. At the Toronto Summit in June 2010, the standstill was again extended, this time until end-2013 and at the Seoul Summit (November 2010), monitoring was moved to a semi-annual basis. Most recently, at the Los Cabos Summit in June 2012 the standstill was renewed once more, this time until end-2014, despite reported opposition from Argentina, Brazil and South Africa. The disappointing news is that, according to the eight official joint OECD-WTO-UNCTAD reports on trade and investment protectionism produced to date, it is clear that G20 members have not fully honoured their commitments. Indeed, the initial pledge had been broken within about thirty-six hours, after which Russia announced that it would hike tariffs on car imports. Moscow’s actions were quickly followed by an increase in Indian steel tariffs and later by the EU reintroducing export subsidies – a combination of moves which seemed to leave the pledge ‘in tatters.’ Moreover, on one count, in the years following the declaration of the standstill, on average a G20 member broke the pledge every four days, doing little for G20 credibility. On the other hand, it has certainly not all been bad news. Taken together, the same series of reports suggest no widespread retreat to protectionism but, on the contrary, only a fairly modest shift to restrictions on trade. Indeed, given the sheer scale of the initial trade collapse, the lack of recourse to protectionist measures is arguably quite striking. In fact, in the second and third years after the onset of the crisis, the pursuit of trade liberalising measures meant that tariffs were more frequently lowered than hiked. Overall, then, the evidence on the effectiveness of the G20’s repeated commitments to limit protectionism is mixed. It does seem that there was some restraining effect on the use of WTO-consistent policies such as tariffs and trade defence measures. Supporting evidence for this proposition is provided by the likelihood that if this were not the case then those economies that balked at the renewal of the standstill pledge at Los Cabos would not have felt any need to object. And clearly there has been no re-run of a 1930s-style protectionist backlash. Set against this, however, is the fact that G20 members have sought to find alternative, less transparent approaches to protectionism as a way of avoiding their commitments, and at other times have been prepared to simply ignore them. At the London Summit, leaders committed themselves to reaching an ‘ambitious and balanced conclusion’ to the Doha Round. By the time of the Mexican summit, leaders were left contemplating only the harvest of what they could salvage from Doha – a sort of mini-Doha – based around those few areas where agreement might be possible, such as trade facilitation and special treatment for the least developed countries (LDCs). By this stage, the urgency expressed for a conclusion of the Doha Round at the Washington and London Summits had long disappeared, along with pretty much any serious belief that G20 leaders were going to be able to deliver on their, increasingly weak, commitments. Ultimately, leaders have publicly and repeatedly failed to push the Doha Round to a conclusion, in a way that has been damaging to the G20’s credibility. First, the failure to complete Doha now spans four failed WTO Ministerials (five if the failure to launch a Round in Seattle is included). This involves significant costs that go beyond the foregone gains from trade liberalisation that a successful round would have brought, to include the damage to the credibility of the WTO and of the G20, and the lost trade certainty that would have been offered by locking in tariff rates and other trade disciplines under Doha. Second, there is a growing consensus that the WTO’s focus on Doha has meant that it has failed to grapple with other, potentially more important, issues facing the global trading system. For example, Mattoo and Subramanian have argued that the WTO’s Doha Agenda ‘is an aberration because it does not reflect one of the biggest – indeed tectonic – shifts in the international economic and trading system: the rise of China.’ A longer list of trade policy issues that the WTO and the multilateral system should be dealing with would include: the trade policy implications of national and international efforts to reduce carbon emissions; resource (especially food) security, including the role of export restrictions; the role and treatment of State Owned Enterprises (SOEs); and issues around exchange rate policy and trade. Third, the need for trade policy to come to grips with the implications of global value chains (GVCs) and the so-called ‘Made in the World’ phenomenon. GVCs have changed the political economy of protectionism, by making some economies ‘so interconnected and integrated that trade policy is no longer a very useful tool to assist domestic industries, even in the face of a massive external demand shock.’ In this environment, many observers have argued that traditional understandings of trade policy are now obsolete. The same changes also suggest the need for an updating of the WTO, which ‘has not kept up with the need for new rules governing the intertwining of trade, investment, intellectual property, and services,’ and which therefore requires an upgrade to what has been described as a ‘WTO 2.0’. Fourth, a failure to meet the appetite for new and deeper forms of international economic integration has encouraged member economies to swap the multilateral system for preferential (bilateral, regional and now mega-regional) trade arrangements (PTAs). By 2010, there were almost 300 PTAs in force, with the average WTO member a party to 13 PTAs. Intra-PTA trade had risen to about 35 per cent of world merchandise trade by 2008, up from 18 per cent in 1990. While it is true that, despite the marked increase in the number of PTAs in recent years, around 84 per cent of world merchandise trade still takes place on an MFN basis (70 per cent if intra-EU trade is included), it is also the case that PTAs are increasingly becoming the vehicle through which countries pursue the kind of ‘deep integration’ that is relevant for much of modern trade. The shift to PTAs risks reducing the relevance of the multilateral system to the governance of global trade and undermining the MFN principle. These risks are likely to become even greater if the mooted mega-regional deals such as the Trans-Pacific Partnership (TPP) in Asia and the EU-United States Transatlantic Trade and Investment Partnership (TTIP) reach successful conclusions. Taking into account the limitations of the G20’s past engagement with international trade and the nature of the challenges currently facing the multilateral trading system, there are at least five things that G20 leaders could do to bolster the international trading environment. First, leaders should place international trade where it belongs, at the heart of the Framework and of the G20’s commitment to deliver economic growth and employment. In doing so, they should reverse the drift of trade policy issues down the G20’s agenda and send a clear signal about the important contribution the trading system could make. They should acknowledge forcefully that in the absence of a robust international trading system and the growth in world trade that this supports, it would become that much harder to fulfil the G20’s core mandate of delivering strong, sustainable and balanced growth. Second, when the current standstill agreement expires at the end of 2014, leaders should not only extend it for at least another two years, but they should also seek to upgrade and refine it, in order to take into account both the post-crisis shift to new, WTO-consistent measures of protection and the need to unwind the restrictions on trade imposed since the start of the GFC. In order to support this commitment, leaders should also commit to ensure that the WTO secretariat is supplied with the enhanced resources required to pursue the independent surveillance needed to monitor compliance with this commitment. While it is true that past experience with the standstill has demonstrated the limitations of surveillance in keeping protectionist impulses in check, there are still important benefits from both the transparency and hence accountability that this process delivers. In addition, enhanced WTO surveillance in this way could also provide helpful support to the WTO’s broader policy agenda. Third, the time has come for leaders to help save the WTO from the Doha Round. Ideally, that should involve harvesting what can be saved from the negotiations so far. For example, Hufbauer and Schott have identified five parts of the existing Doha Agenda which they argue offer the possibility of delivering significant benefits to WTO members at relatively little cost or pain: trade facilitation; duty-free, quota-free access for LDCs; the phase-out of farm export subsidies; reforms to the WTO’s dispute settlements system; and new disciplines on food export controls. Leaders should use their political weight to push seriously for the conclusion of a mini-Doha agreement along these lines, and then allow the WTO to move on to other matters. If, however, leaders conclude instead that there is no realistic possibility of reaching even a modest agreement along these lines (after all, a previous attempt to follow this approach failed in 2011), then they should declare Doha dead and urge the WTO to find a new way forward on trade negotiations. Such a decision would of course be highly controversial. But in the absence of such a resolution, the continued failure to complete Doha will serve only to erode the credibility of both the WTO and of the G20 itself. If leaders conclude that Doha really is beyond saving, they should now put it out of its misery. This approach would also have the benefit of presenting leaders with a clear choice: to help save Doha or to kill it. Fourth, leaders should also use their political weight to encourage the WTO to devote more time to a trade policy agenda fit for the twenty-first century. As discussed above, there are a range of issues that would fall into this category, including food and resources security and the use of export restrictions, the treatment of SOEs, the role of exchange rate policy and the intersection of climate change and trade policies. The importance of services trade, and of GVCs, should offer particular scope for WTO-led initiatives that go beyond Doha. A ‘whole of the value chain’ approach that spanned a range of sectors including transport and distribution services, border protection and management, product health and safety, foreign investment and the movement of business people and service providers could potentially stimulate trade and growth while also increasing the relevance of the WTO for business. Two other, connected issues are also deserving of particular attention in this regard. First, the relationship between the multilateral trading system and the proliferation of PTAs, including the looming mega-regionals like the TPP and TTIP. There have been a range of suggestions for further work in this area that could be pursued, ranging from proposals for standstills on new PTAs and action on tightening up WTO rules on PTAs, through to measures aimed at improving the design and transparency of PTAs and on to proposals to multilateralise agreements or provide ‘docking’ mechanisms for PTAs. Second, the reason that these proposals are necessary is that there is a demand for the kind of ‘deep integration’ offered by PTAs that is not being met by the WTO. This indicates the need to look for ways in which the WTO might offer a compelling alternative. The most likely approach here is to revisit the idea of ‘variable geometry’, based in large part around the opportunities provided by plurilateral agreements. Much as leaders in the past have used their political capital to urge reform of the IMF and World Bank, they should now do the same for the WTO. While leaders would need to be careful not to be seen as inappropriately usurping a member-controlled organisation, the fact that the G20 includes most of the key players in global trade means that a coordinated G20 opinion on reform would carry significant weight. Areas for potential reform include the WTO’s practice of consensus, the ‘Single Undertaking’ in multilateral negotiations, the role of MFN, the operation of the Disputes Settlement Mechanism, and the conduct and scope of WTO surveillance. The problems facing WTO reform are not a shortage of ideas – there’s a large body of work already available – but rather an absence of political will to give impetus to reform. This, of course, is where the G20 should have a particular comparative advantage. All the G20’s declarations have achieved nothing in terms of completing the Doha Round. Words are cheap. Action is harder. Australia’s hosting of the G20 is an opportunity to shift the G20 Members into leading through actions rather than mere words. A fresh, credible approach should involve asking G20 members to demonstrate their commitment to multilateral trade liberalisation, not just to talk about it. The WTO is a mechanism that makes it politically feasible for governments to reduce barriers to trade. Ordinarily, in the absence of any trade agreement, the government’s decisions are susceptible to substantial political pressure from groups for whom the per capita gain from opposing liberalisation exceeds the per capita cost of manifesting that political opposition, that is, producers competing against imports. This pressure is rarely offset by the political weight of other groups for whom the per capita gain from supporting trade liberalisation exceeds the cost of providing that political support. The situation is one where if politicians support trade liberalisation they lose political support, and possibly lose office. This tends to make unilateral trade liberalisation difficult. There may be exceptional situations where purchasers of imports are themselves producers with substantial political weight and as value adding is broken down into more and more discrete steps in geographically dispersed supply chains, these exceptions may become more common – but exceptions they remain. A trade agreement which provides for a reciprocal exchange of market access commitments changes the domestic political dynamics. The trade agreement gives exporters a tangible reason – in the form of an expected gain from export sales – to lend political support to a government which implements the trade agreement. This provides a counterbalance to the government’s loss of political support from those competing against imports and therefore makes trade liberalisation a much less politically risky action for governments and politicians. Apart from the initial step of implementing trade liberalisation, governments set the rules of the agreement so that they cannot be subsequently left stranded in a position in which the gains to exporters do not materialise but the losses to import-competing producers do. They know that obstructions to market access by one party can be met with obstructions to market access by other parties. They also know that even if the decision to adopt the trade agreement is finely balanced, the downside political risk may diminish over time as the new more liberalised setting will cause the exporters to become more politically influential and the import-competing producers to lose a little of their relative political weight. Political scientists and economists modelling behaviour of governments in relation to trade agreements have specified that both reciprocity and non-discrimination are essential conditions for the feasibility of trade agreements. Integral to those requirements is the degree of predictable market access opportunities that exporters derive from the agreement, which in turn affects their inclination to provide political support. In the context of GATT and WTO negotiations, non-discrimination has meant an unconditional most favoured nation rule, though with some significant exceptions. Some experts have also stressed that gradualness is also a requirement. This acknowledges that the extent of political opposition may rise more than proportionally with the level of ambition toward trade liberalisation embodied in the trade agreement. Whatever theoretical models might show, we know from real world interaction that trade agreements have come into force when there have been considerable departures from perfect reciprocity or non-discrimination and with varying degrees of ambition. It must be that there are additional factors at play: perhaps commitment to economic reform, ideological reasons, or occasionally manifestations of friendship and altruism. Nevertheless, these three elements of reciprocity, non-discrimination and gradualness are helpful in gaining an understanding of the inability to reach agreement in the Doha Round. The outcomes of all previous GATT and WTO negotiations determine the starting point for the Doha Round. In previous rounds, the parties that have liberalised the most have been able to reach a roughly reciprocal bargain in the presence of some free-riding by other countries, because the trade of the free-riding countries was not sufficiently significant to stop each party from reaching an internal political situation satisfactory for them to proceed with ratifying and implementing the agreement. However, this has left some parties with much higher average tariff levels than others: on non-agricultural goods, the average bound tariff is only 3.5 per cent for high-income countries, but 19.1 per cent for non-LDC developing countries; on agricultural goods, the average bound tariff rate is 31.9 per cent for high-income countries, but 53 per cent for non-LDC developing countries. The difference is smaller if applied rather than bound rates are compared, but the ranking is the same. In relation to trade in services, rates of protection are harder to quantify, since protection arises from a variety of instruments, but it is clear that the degree of liberalisation implemented under Uruguay Round GATS commitments varied greatly among countries. Past rounds were also affected by the laxness around the application of the Article XI prohibition on ‘restrictions other than import charges.’ In sectors where the rule was ineffective, there tended to be both high levels of protection and an inability to agree on tariff reductions. Though the problem was mostly solved in the Uruguay Round, it has left a legacy of high rates of protection in some sectors and, therefore, substantial unevenness in the levels of protection in different sectors. Together this means that WTO members have a variety of starting positions in the Doha Round. On goods, some have low average tariffs, some high average tariffs and some have flat tariff structures – but some with low average tariffs have very high tariffs in a small number of sectors. On services, some are bound not to apply quantitative restrictions or to derogate from national treatment across around a hundred subsectors. Others are completely free to apply quantitative restrictions or derogate from national treatment on all but a few services subsectors. There are many variations in between. Many countries have a significant number of services sectors for which they are committed not to derogate from national treatment but are still free to impose quantitative restrictions. One might generalise that the countries that have already reduced protection to very low levels face difficulty in finding a way to offer further liberalisation – the potential for big changes only exists in the most politically sensitive areas. At the same time, countries that still have very high bound rates of protection would need to reduce protection by big margins to induce significant possibilities of new trade flows. But they are reluctant to make those big changes, for the changes offered by less protectionist countries are insufficient to help overcome political resistance. The internal politics of trade has been changed by the proliferation of discriminatory trade agreements. Exporters who are not already receiving preferential market access may be expected to receive a big enough per capita gain (net of lobbying costs) to motivate them to provide political support for a multilateral trade agreement. If, however, they already have preferential access, the net per capita gain from a multilateral trade agreement may not be large enough to motivate them to provide that political support. Further, exporters who are aware that exporters in other countries already have preferential market access may be more inclined to spend their limited political energy supporting a new preferential agreement to catch up with the access others already have. These influences would tend to be larger when the margin of preference between preferential rates and MFN rates is larger. Perversely, the only thing that can reduce the margins of preference and shift back to non-discrimination is multilateral liberalisation, but multilateral liberalisation is made less likely by the margins of preference. The problem which trade in goods used to have as a result of a weak prohibition on quantitative restrictions is a current and continuing problem with trade in services. Just as the GATT suffered from its birth defects that weakened the rules until the Uruguay Round, so the GATS suffers from the birth defect that members can opt in and out of the prohibition on quantitative restrictions on numbers of services suppliers, service transactions or assets utilised. The economic effect of a quantitative restriction is the same whether it exists in relation to imports of goods or services. Negotiations to reduce the extent of derogations from national treatment are pointless when members are free to retain quantitative restrictions. In summary, we have a situation where departures from reciprocity and non-discrimination in the past are eroding the feasibility of further multilateral trade liberalisation. The gradualism constraint has also become a problem because the existing height of import barriers in less open countries means that exporters in more open countries are less likely to be drawn into the political debate unless they receive large absolute reductions in the level of protection. At the same time, it probably remains true that in the less open countries, the strength of opposition to reducing barriers increases more than proportionately with the extent of change that is proposed. As some more open countries have pushed for a higher level of ambition, pressure has also emerged for less ambition. However, those resisting change have not resisted it evenly across all products and sectors. As a reflection of what is at stake for private players and their motivation to engage in politics, all countries, including those more open and those more closed, have sought to exempt certain products or sectors from liberalisation or to take them off the table completely. These exclusions would have a massive effect on the economic gains achieved. The rule of thumb is that the ratio of the economic welfare gain from removing a high level of protection to the corresponding gain from removing a low level of protection is equal to the square of the ratio of the high rate of protection to the low rate of protection. Therefore, (ceteris paribus), removing a 90 per cent tariff generates economic gains which are approximately 81 times bigger than the economic gains that would accrue from removing a 10 per cent tariff. In agriculture the negotiation has been divided into three areas – market access, export subsidies and other subsidies – and difficulties have arisen over the level of ambition in each area. There has been a consensus that export subsidies should be phased out but contention remains over the reduction in domestic subsidies. A number of factors indicate that import barriers ought to be a much higher priority for the WTO than domestic subsidies. First, domestic subsidies distort production decisions but not consumption decisions, whereas import barriers distort both. Second, modelling has demonstrated that of the total gains to be achieved from liberalising agriculture, 90 per cent would come from reducing import barriers. Third, existing WTO rules already give members rights to countervail against exports assisted by domestic subsidies and the right to seek multilateral authorisation for sanctions against countries whose subsidies displace exports from third markets. Fourth, domestic subsidies are disciplined to some extent by domestic fiscal pressures. Fifth, allowing an escape valve for domestic subsidies helps some governments overcome political opposition to reducing tariffs. The reality is that achieving breakthroughs in reducing import barriers in sensitive areas is unlikely without allowing the escape clause for domestic subsidies and deferring to later rounds of negotiation a comprehensive transition from production linked to non-distorting forms of subsidy. However, negotiation has acquired a dynamic in which developing countries demand developed countries substantially reduce domestic subsidies as a precondition for developing countries cutting import tariffs. For some of the countries that are more willing than others to offer greater liberalisation in the Doha Round, the unwillingness of others has led them to the view that further multilateral liberalisation cannot proceed on the basis of an unconditional most favoured nation clause. Their realist position is that the laggards should be denied the capacity to free ride and need to be faced with the possibility of being left at a disadvantage in a more liberal trading system. This leads to the latest phenomenon: where those countries seeking liberalisation have virtually given up putting forward any new proposals under the WTO, and have concentrated their efforts on negotiating liberalisation in ways that would exclude free riders, such as the proposed Plurilateral Agreement on Services, the Trans-Pacific Partnership, the Regional Comprehensive Economic Partnership, and through various bilateral negotiations. Some argue that multilateral negotiations have been held back by the commitment to a ‘single undertaking’, a phrase which has been used to describe what are, in fact, two different ideas. First, there is the idea that all WTO members should be bound by the complete set of WTO agreements rather than being able to opt in or out. Second, it refers to the idea that everything must be agreed as a complete package or that nothing is agreed until everything is agreed. As members have become frustrated with their lack of success in closing the negotiations, various members have supported an early harvest package, in departure from the previous commitment to a single undertaking. This involves slicing off particular issues into stand-alone agreements. Reaching agreement on such early harvests appears not to be easy. The obvious reason is that a stand-alone agreement may not embody sufficient trade-offs to reach a reciprocally beneficial outcome. 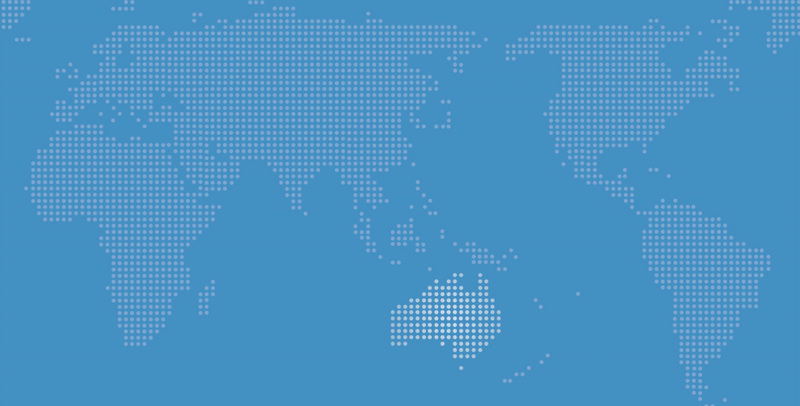 Australia has supported trying to reach agreement in the WTO on particular agreements one by one, possibly in the belief that there is some substantial benefit from demonstrating that conclusion of WTO agreements is feasible. However, it is certainly not obvious that departing from the concept of a single undertaking by slicing the negotiation up vertically is likely to be a better pathway to a more open trading system than would be achieved by slicing the negotiation up horizontally with an early harvest package that retains all sectors but with a more modest and gradual level of ambition, and leaves some part of the liberalisation for a later trade round. Given the difficulties in reaching a successful Doha Round agreement, G20 declarations exhorting WTO members to try harder or redouble their efforts will not achieve anything. They need to do something tangible, even if small and incremental. They can take a small step to exposing producers to foreign competition and to assist exporters in gaining access to foreign markets. Even a small incremental change may be politically unpopular but this political downside can be mitigated in two ways. First, if the change is small, the extent of the opposition should be limited. Second, by taking a collective step for the benefit of all, political leaders may be able to acquire some counterbalancing support from a wider constituency. In an agreement among the entire 159 WTO members, the internal political calculus of each government is more likely to be based on how much support is lost from import-competing producers and how much counterbalancing support might be gained from exporters. Considerations of contributing to the common good or to the maintenance of a non-discriminatory trading system based on price rather than power are unlikely to weigh much in the internal politics of many, if any, countries. In 159 countries, it is too easy to leave others to maintain the trading system and to insist on a safe political deal for oneself. However, the group of 20 leaders may just be small enough to be able to avoid a free-rider effect. They may be able to encourage each other to take just a small risk in domestic politics in order to contribute to a common good. How could the G20 structure such a tangible step? A useful starting point would be the words of the preamble to the WTO Agreement in which all WTO members have committed to ‘the substantial reduction of tariffs and other barriers to trade and to the elimination of discriminatory treatment in international trade relations.’ Grounding their actions in that existing commitment would help justify their actions. They can argue collectively that in the absence of some multilateral agreement to reduce MFN trade barriers, there will not be any mechanism to move toward less discrimination. However, it does not have to be a large step. They can acknowledge that one small step may be the first step toward a comprehensive and ambitious multilateral trade agreement. They might also acknowledge that if this is not achieved, and the WTO cannot catch up with the depth of trade integration being achieved in some bilateral and regional trade agreements, it can still fulfil a function of taking incremental steps to reduce margins of preference and continue to gradually eliminate discrimination in international trade. 1.1 A GATT Schedule which contains a new binding on every line of the customs classification, covering all products industrial and agricultural. The new binding should be 2 per cent below the existing binding, that is, no more than 98 per cent of the existing binding. (a) In the Doha Round negotiations, even the most protectionist members of the G10 appear ready to make a 23 per cent cut over six instalments on their most sensitive products. The rate chosen for the G20 initiative ought to be just as politically digestible as the cut to the most sensitive products would have been under the draft text. (b) There should be no exceptions for the reasons explained above about the relative size of economic welfare gains accruing from cuts to different-sized rates of protection. 1.2 All members having non-zero budget outlay commitments on export subsidies should reduce the budget outlays for all product groups by 3 per cent, that is, the new bindings must be no more than 97 per cent of the existing bindings. (a) Parties reducing import tariffs should not be placed in a worse position in relation to competition from imports receiving the benefit of export subsidies. (b) Treatment of export subsidies should be consistent with a long-term objective of eliminating them completely. 1.3 Without limiting the existing caps on domestic support or the extent to which existing remedies may be applied against domestic subsidies, all members must adopt an additional commitment not to pay domestic subsidies (within category of subsidies required to fall within the existing Aggregate Measure of Support cap – that is, price or production linked subsidies) on a product which add up to more than 100 per cent of the value of the product at world market prices. (a) This compromises between the objective of allowing resort to domestic subsidies as an escape clause to facilitate reduction of import barriers and the objective of encouraging members to transition domestic subsidies from production linked (i.e. out of the AMS category) to non-production linked when the subsidies are big enough to have significant distorting effects. 2. A GATS schedule that applies the unqualified prohibition on quantitative restrictions (Article XVI:2(a) to (d)) to 3 additional services subsectors covering cross border supply and supply through commercial presence. (a) Failing to achieve further moves to national treatment might be seen as a weakness since a member might be free to impose burdens on foreign suppliers. However, this would represent a move toward repairing the birth defects of the GATS. As the prohibition on quantitative restrictions applies to more sectors, it will become easier to achieve further liberalisation in negotiations and also unilaterally since, under the MFN rule, access provided to service suppliers from a particular country would have to be extended to suppliers from any WTO member. (b) This approach would not achieve integration among WTO members as deep as the integration being achieved in some bilateral or regional agreements. However, it would provide a discipline against rates of protection and margins of preference increasing, and would facilitate greater incremental liberalisation over time which would reduce both rates of protection and margins of preference. Each member could choose a date for the new schedules to come into force within 30 months from the summit. The G20 members should encourage all other WTO members to make the same additional commitments. The G20 members would apply the MFN rule to the new concessions for ten years but reserve the right to apply for a waiver from the MFN rules, to the extent necessary for them to deny the benefit of these concessions to members who have not made similar concessions within ten years. (a) A group constituting seventy-five per cent of members could vote themselves a waiver to permit themselves to deny the benefits to those who don’t join in. Some might say that the proposed liberalisation is too much. But how could any member seriously hold to the position that a two per cent reduction in import tariffs and three per cent in export subsidies over up to 30 months is indigestible. There might be a couple of instances where reduction down to a one hundred per cent cap on domestic subsidies would require some adjustment, but a thirty-month transition is accommodating. It is doubtful that there are any members who could not find three service subsectors to which they could commit to not having quantitative restrictions, when they are not being asked to bind national treatment. To the extent that some difficulty would be encountered, the question would be whether it is worth that price for the gain of preserving the WTO as an institution for implementing multilateral liberalisation. Some might say that the proposed liberalisation is too little. In that case, there ought to be no difficulty in agreeing to it and implementing it. There would, after all, be no reason why it could not be repeated. What should not be repeated at the Brisbane G20 summit is just another doomed exhortation to G20 members and WTO members to increase their negotiating efforts. Australia should be asking all who want to have a multilateral trading system to put their money on the table. Mike Callaghan is the Director of the G20 Studies Centre at the Lowy Institute and editor of the G20 Monitor. Prior to taking up this position, Mike was Executive Director, International, in the Australian Treasury and Australia’s G20 Finance Deputy. He was also the Prime Minister’s Special Envoy on the International Economy. From 2005 to 2007, Mike was Executive Director, Revenue Group in the Australian Treasury where he was responsible for the provision of advice to Ministers on taxation and retirement income policies and legislation. In 2006 he was appointed by the IMF Managing Director and the President of the World Bank to an eminent persons group to report on improving cooperation between the World Bank and the IMF. From 2000 to 2004 Mike was Executive Director at the International Monetary Fund, Washington DC, representing a constituency of 14 countries, including Australia. Mike has served as Chief of Staff to the Australian Treasurer, the Hon Peter Costello. He joined the Treasury in 1974 and has held a variety of senior positions, including heading the Economic Division and the Financial Institutions Division. He has economic and law degrees from the Australian National University and is a graduate from the Royal College of Defence Studies, London. Mr Peter Gallagher is a trade and public policy specialist with three decades of experience as a senior officer of the Department of Foreign Affairs and Trade specialising in multilateral and bilateral trade negotiation and dispute settlement. He holds a Masters of Public Laws from the Australian National University (1991) and degrees in literature and philosophy from the University of Sydney (1974). Since leaving the diplomatic service, Mr Gallagher has run a national industry council; taught trade and public policy related subjects at graduate level in the Melbourne Business School, The University of Melbourne and the University of Adelaide, and; consulted to international institutions (WTO, ITC, UNDP) in Asia, Africa and Latin America, to Australian and other governments, industry associations and firms. He has authored several books, published by WTO on WTO law, history and procedures and on the political economy of WTO membership. He is currently writing a centennial history of the International Chamber of Commerce. John Ravenhill is Head of the School of Politics and International Relations, Research School of Social Sciences, Australian National University. He co-directs the ANU’s MacArthur Foundation Asia Security Initiative project. After obtaining his PhD at the University of California, Berkeley, he taught at the University of Virginia and the University of Sydney before joining ANU in 1990. In 2000, he took up the Chair of Politics at the University of Edinburgh for four years. He has been a Visiting Professor at the University of Geneva, the International University of Japan, Nanyang Technological University in Singapore, and the University of California, Berkeley. His work has appeared in most of the leading journals of international relations. His most recent book, co-edited with Andrew MacIntyre & TJ Pempel, was Crisis as Catalyst: Asia's Dynamic Political Economy (Cornell University Press). He was the founding editor of the Cambridge University Press book series, Cambridge Asia-Pacific Studies, and is on the Editorial Boards of Review of International Political Economy, Pacific Affairs, International Relations of the Asia-Pacific, Business and Politics, and the Australian Journal of Political Science. He is a Fellow of the Academy of Social Sciences in Australia. Mark Thirlwell is a Fellow at the G20 Studies Centre and Director of the Lowy Institute’s International Economy Program. Mark has been tracking global economic trends since he joined the Bank of England’s International Divisions in 1990 where he worked as part of the Whitehall Economists Subgroup, coordinating the forecasting of major emerging markets across the Bank, Treasury, the FCO and other stakeholders. Mark subsequently joined J P Morgan as a Vice President in Economic Research with responsibility for Central Europe. Before joining the Lowy Institute, he served as Senior Economist at Australia’s Export Finance and Insurance Corporation, working on sovereign risk with a particular focus on East Asia. Mark has degrees in economics from Cambridge and Oxford Universities and a postgraduate qualification in applied finance from Macquarie University. Dr Brett Williams is a lawyer, academic and consultant based in Sydney specialising in the regulation of international trade, especially the law of the World Trade Organization. He is a solicitor of the Supreme Court of New South Wales, Australia. On 1 July 2013, he will open the firm Brett G Williams Law Office which will specialise in international trade regulation especially the law of the World Trade Organization. He holds Bachelors degrees in law and in economics from the University of Adelaide, and a Graduate Diploma in International Law from the Australian National University. His PhD thesis on the application of the GATT to agricultural trade won the University of Adelaide Bonython Prize in 2000. He is currently teaching the LLM unit International Law of World Trade at the Australian National University College of Law, where he is an affiliate of their Centre for Law and Economics. He taught law of the World Trade Organization at the Faculty of Law at the University of Sydney from 2001 to 2012 and has also taught WTO Law for the University of Adelaide, William and Mary College, University of North Carolina, and the Chinese University of Hong Kong. He is also an affiliate of the Sydney Centre for International law and the Centre for Asian and Pacific Studies at the Faculty of Law of the University of Sydney and of the Centre for International Economic Studies at the University of Adelaide. As a consultant in the field of trade regulation he has provided expert reports on various issues. His most recent technical assistance project was for the International Trade Centre advising on opportunities for the private sector in Samoa arising out of its recent accession to the WTO. He has also taught in training programmes for government officials of the People’s Republic of China and of Iraq. Over many years, he has also taught Public International Law, Competition Law and International Business Transactions. His research has concentrated on application of WTO rules to agricultural trade, and China’s participation in the WTO but also covers trade in services and antidumping law. His publications include the CUP edited book China and the World Trading System (2003), journal articles on the Doha Round WTO negotiation on agricultural trade (2007 UNSWLR and 2009 Farm Policy Journal), and most recently two journal articles on innovative mechanisms for resolving trade disputes (2011 AILJ and 2012 UNSWLR). Douglas Lippoldt, ed., Policy priorities for international trade and jobs, OECD, 2012. G20, Declaration: Summit on Financial Markets and the World Economy. 2008. Pascal Lamy, Director-General Pascal Lamy’s statement: informal trade negotiations committee meeting at the level of head of delegation. WTO April 11 2013: http://www.wto.org/english/news_e/news13_e/tnc_infstat_11apr13_e.htm. B20-G20 Partnership for Growth and Jobs, Recommendations from Task Force. Moscow, 2013. Anders Aslund, The world needs a multilateral investment agreement. Policy Brief, Number PB13-01. Peterson Institute for International Economics, January 2013. China's entry into the WTO, and the arduously negotiated policy changes it agreed to embody in its Protocol of Accession is a classic case of such policy signalling. By far the most important audience for the Protocol was the domestic political economy, not foreigners. But China's is only the most prominent example among many. See Angus Maddison’s historical grouping of United States, Canada, Australia in Angus Maddison, The world economy: historical statistics, OECD, 2003. Australia, New Zealand and Japan, happily, may be able to ‘straddle’ the two blocs, by participating both in the US-led bloc and the RCEP that will include China (see below). Will Martin and Aaditya Matoo, The Doha Development Agenda: what's on the table? The Journal of International Trade & Economic Development 19 (1) 2010, pp 81-107. It is impossible to verify the configuration of the market access deals because the Governments negotiating the TPP have decided to keep all drafts confidential. Ann Capling and John Ravenhill, The Trans-Pacific Partnership: an Australian perspective. 2013: http://www.alliance21.org.au/themes/trade-and-investment. Weijiang Feng, Going beyond the free trade agreements and establishing a new East Asian economic order. Xinhua News (English), 9 November 2012: http://news.xinhuanet.com/english/indepth/2012-09/11/c_131857806.htm. Even if China's growth were to slow over the next two decades to two thirds of the rate it achieved in the last three decades – 6.6 per cent a year on average compared with 9.9 per cent – it will outstrip the United States in economic size before 2030, see World Bank and P.R.C. Development Research Centre of the State Council, China 2030 : building a modern, harmonious, and creative high-income society. Washington, DC, The World Bank, 2012. Lai-Ha Chan, Pak K. Lee and Gerald Chan, Rethinking global governance: a China model in the making? Contemporary Politics 14 (1) 2008, pp 3-19. David Shambaugh, China goes global: the partial power. Oxford, Oxford University Press, 2013. The meaning of ‘single undertaking’ changed at the end of the Uruguay Round in 1994. What had formerly been a process for managing multi-part negotiations (‘nothing is agreed until everything is agreed’) was transformed by the G-7 into a constitutional requirement that every economy acceding to the WTO must comply with every one of the several dozen ‘core’ WTO agreements (those attached to the 1994 protocol that established WTO). The G-7 insisted that this should be a prior condition on any GATT member’s accession to the new organisation; no partial participation. But the Single Undertaking had a perverse effect. Because a consensus of the full membership is needed to amend or adopt new agreements, it ensures that member economies that are most reluctant to liberalise their market regulations will hold up decisions until they represent no threat to their interests. Contrary to the intention of the G-7, the Single Undertaking now ensures lowest-common-denominator outcomes. Any agreement concluded within the 'precincts' of the WTO must comply with the MFN provisions of GATT and GATS. In other words, the benefits of the agreement must extend universally to WTO members even if they are not among the ‘critical mass’ of members that have agreed to submit to the obligations of the agreement. ‘Critical mass’ means, in effect, accepting ‘free riders’ on the basis that they do not upset the calculus that makes the agreement worthwhile to participants. But the free rides must rankle if they include, for example, China or India. The current 'critical mass' plurilateral agreements, such as the Information Technology Agreement and the Understanding on Financial Services are MFN agreements; China is a member of the former but not of the latter. Aaditya Matoo and Arvind Subramanian, China and the world trading system. Policy Research Working Paper no. 5897. World Bank, 2011. Richard Baldwin, WTO 2.0: global governance of supply-chain trade. CEPR Policy Insight. Centre for Economic Policy Research, 2012. Especially since none of the mega-regionals includes both of the G-2. The evidence that deeper commitments on IP and investment are required to support supply network trade is not particularly strong; for example, there is no evidence that 'deepening' IP rules beyond basic compliance with e.g. the WTO TRIPS provisions increases FDI flows, see Michele Boldrin and David Levine, The case Against patents. Journal of Economic Perspectives 27 (1) 2013, pp 3-22. For the objectives of the TTIP see, European Commission, European Union and United States to launch negotiations for a Transatlantic Trade and Investment Partnership. 2013: http://trade.ec.europa.eu/doclib/press/index.cfm?id=869. The objectives of the TPP as at 2011 are outlined by the Office of the United States Trade Representative. Outlines of the Trans-Pacific Partnership Agreement. November 2011: http://www.ustr.gov/about-us/press-office/fact-sheets/2011/november/outl.... For the brief objectives of the RCEP, see Department of Foreign Affairs and Trade, Regional Comprehensive Economic Partnership negotiations. 2012: http://www.dfat.gov.au/fta/rcep/. This is not to say that there has been no transmission of ideas between RTAs and the multilateral system: it could be argued, for example, that the inclusion of an innovative provision liberalising services trade in the 1988 Australia-New Zealand Closer Economic Relations Trade Agreement provided some lessons for negotiators of the WTO General Agreement on Trade in Services (1995). But the ANZCERTA agreement, based on a ‘negative list’, is much more comprehensive and much simpler than the GATS. See European Commission, Countries and regions: Japan. 2013: http://ec.europa.eu/trade/policy/countries-and-regions/countries/japan/. Japan, too, will now be a member of both the TPP and RCEP. WTO agreements must be applicable in hundreds of different economies. Accordingly, they typically specify the outcomes to be achieved by members’ trade regulations rather than the content of those regulations, allowing each government a degree of flexibility in the application of their policies and laws. The desired outcomes in any economy from a trade negotiation may depend, however, on pre-existing conditions. For example, governments may be unable to agree to cut all barriers on agricultural imports to the same low level in every market because this would mean that some countries will make no cuts to protection (if their import barriers are already low) and some will make huge cuts to protection (because their barriers are currently high). An agreement along these lines would fail the test of ‘reciprocity’ among WTO members. Governments may, instead, agree to implement cuts that have a similar proportional impact on existing levels of protection in every economy. The way in which the similarity of the proportional cut is determined and implemented is a modality (a method or an approach). Most of the negotiations in WTO trade negotiations are concerned with modalities rather than with e.g. specified levels of protection. Negotiators necessarily focus on modalities when the regulation of interest has outcomes that are difficult to quantify; that means, most NTMs such as barriers to market entry based on product or services standards. OECD, Moving up the (global) value chain. Policy Brief. July 2007. Yuqing Xing and Neal Detert, How the iPhone widens the United Statestrade deficit with the People’s Republic of China. ADBI Working Paper 257. Tokyo, Asian Development Bank Institute, May 2011. World Trade Organization/IDE-JETRO, Trade patterns and global value chains in East Asia: from trade in goods to trade in tasks. Geneva, WTO, 2012. World Trade Organization, 15 years of the Information Technology Agreement: trade, innovation and global production networks. Geneva, WTO, 2012. Koen De Backer, Global value chains: preliminary evidence and policy issues. OECD, 19 May 2011: http://www.oecd.org/industry/ind/47945400.pdf. See Table 2 in Xing and Detert, How the iPhone widens the United Statestrade deficit with the People’s Republic of China. See figure 9, p. 104 in: World Trade Organization/IDE-JETRO, Trade patterns and global value chains in East Asia: from trade in goods to trade in tasks. See, for example, Hosuk Lee-Makiyama, Future-proofing world trade in technology: turning the WTO IT Agreement (ITA) into the International Digital Economy Agreement (IDEA). ECIPE Working Paper. Brussels, European Centre for International Political Economy, 2011. John Ravenhill, Resource insecurity and international institutions in the Asia-Pacific region. The Pacific Review 26 (1) 2013, pp 39-64. Robert Koopman, William Powers, Zhi Wang and Shang-Jin Wei, Give credit where credit is due: tracing value added in global production chains. NBER Working Paper No. 16426. September 2010. A longer version of this paper will be published as a Lowy Institute Analysis. On the importance of the Framework, see Mike Callaghan, Strengthening the core of the G20: clearer objectives, better communication, greater transparency and accountability. Analysis. Sydney, Lowy Institute for International Policy, 10 April 2013. Barry Eichengreen and Kevin H O'Rourke, A tale of two depressions (3rd update). VoxEU.org, 1 September 2009. Also Bernard Hoekman, Trade policy: so far, so good? Finance and Development 49 (2) 2012, pp 17-19. G20, Declaration of the summit on financial markets and the world economy. Washington, DC, 15 November 2008. Krista Hughes, G20 extends free trade vow despite split. Reuters, 20 June 2012. Alan Beattie, Who's in charge here? How governments are failing the world economy. London, Penguin Group, 2012. Simon J. Evenett, The role of the WTO during systemic economic crises. Paper presented at the first Thinking Ahead on International Trade (TAIT) conference. Geneva, Centre for Trade and Economic Integration at The Graduate Institute and the World Trade Organization, September 2010. Hoekman, Trade policy: so far, so good? Mohini Datt, Bernard Hoekman and Mariem Malouche, Taking stock of trade protectionism since 2008. Economic Premise Number 72. Washington, DC, World Bank, December 2011. Information about GTA as well as copies of their reports and access to the associated data is available from http://www.globaltradealert.org/. Evenett, Simon J., Debacle: the 11th GTA report on protectionism. VoxEU.org, 14 June 2012. Simon J. Evenett and David Vines, Crisis-era protectionism and the multilateral governance of trade: an assessment. Oxford Review of Economic Policy 28 (2) 2012, pp 195-210. Richard E. Baldwin and Simon J. Evenett, Beggar-thy-neighbour policies during the crisis era: causes, constraints and lessons for maintaining open borders. Oxford Review of Economic Policy 28 (2) 2012, pp 211-234. G20, London Summit: Leaders' Statement. London, 2 April 2009. ———, Leaders' Statement: The Pittsburgh Summit. Pittsburgh, 25 September 2009. ———, The G20 Toronto Summit Declaration. Toronto, 27 June 2010. ———, The G20 Seoul Summit Leaders' Declaration. Seoul, 12 November 2010. ———, Cannes Summit Final Declaration: Building our common future: renewed collective action for the benefit of all. Cannes, 4 November 2011. ———, G20 Leaders Declaration Los Cabos. Los Cabos, 19 June 2012. Mike Callaghan and Mark Thirlwell, Challenges facing the G20 in 2013. G20 Monitor. G20 Studies Centre, Lowy Institute for International Policy, December 2012. Seattle (1999), Cancun (2003), Hong Kong (2005) and Geneva (2008 and 2011). International Monetary Fund (IMF), The WTO Doha Trade Round - Unlocking the negotiations and beyond. Note prepared by the IMF Strategy, Policy and Review Department. Washington, DC, International Monetary Fund, 16 November 2011. Bernard Hoekman, Will Martin and Aaditya Mattoo, Conclude Doha. It matters! Policy Research Working Paper 5135. Washington, DC, World Bank, November 2009. Aaditya Mattoo and Arvind Subramanian, China and the world trading system. Policy Research Working Paper 5897. Washington, DC, World Bank, December 2011. John Weekes, What next for the WTO: challenges for the WTO's eighth ministerial conference. VoxEU.org, 23 November 2011; Hoekman, Martin and Mattoo, Conclude Doha. It matters! Also Mattoo, Aaditya and Arvind Subramanian, From Doha to the next Bretton Woods: a new multilateral trade agenda. Foreign Affairs 88 (1) 2009, pp 15-26. For example, Sungjoon Cho and Claire R. Kelly, Are world trading rules passe? Virginia Journal of International Law 2013 (forthcoming). Richard Baldwin, WTO 2.0: thinking ahead on global trade governance. VoxEU.org, 22 December 2012. See also Bernard Hoekman and Selina Jackson, Reinvigorating the trade policy agenda: think supply chain!, VoxEU.org, 23 January 2013. World Trade Organization (WTO), World Trade Report 2011. The WTO and preferential trade agreements: From co-existence to coherence. Geneva, World Trade Organization, 2011. See for example Biswajit Dhar, Simon J. Evenett, Guoquiang Long, Andre Meloni Nassar, Stefan Tangermann and Alberto Trejos, Disavowing protectionism: a strengthened G20 standstill and surveillance. In The collapse of global trade, murky protectionism, and the crisis: recommendations for the G20, edited by Richard Baldwin and Simon J. Evenett, pp. 69-74. London, Centre for Economic Policy Research (CEPR), 2009. Baldwin and Evenett, Beggar-thy-neighbour policies during the crisis era: causes, constraints and lessons for maintaining open borders. Simon J. Evenett, Saving the WTO from the Doha Round. VoxEU.org, 17 April 2011, Ernesto Zedillo. Save the WTO from the Doha Round. Forbes, 21 May 2007. Gary Clyde Hufbauer and Jeffrey J. Schott, Will the World Trade Organization enjoy a bright future? Policy Brief PB12-11. Washington, DC, Peterson Institute for International Economics, May 2012. The best offers on services in the Doha negotiations are on average still twice as restrictive as actual policy. In other words, Doha offers no actual liberalisation. Bernard Hoekman and Aaditya Mattoo, Services trade liberalization and regulatory reform: re-invigorating international cooperation. Policy Research Working Paper 5517. Washington, DC, World Bank, January 2011. As proposed by Hoekman and Jackson, Reinvigorating the trade policy agenda: think supply chain! Mattoo and Subramanian, China and the world trading system; Bernard Hoekman, The WTO and the Doha Round: walking on two legs. Economic Premise Number 68. Washington, DC, World Bank, October 2011; Susan C. Schwab, After Doha: why the negotiations are doomed and what we should do about it. Foreign Affairs 90 (3) 2011, pp 104-117; Weekes, What next for the WTO: challenges for the WTO's eighth ministerial conference; World Trade Organization (WTO), World Trade Report 2011. The WTO and preferential trade agreements: From co-existence to coherence. See Annex 1 for background on the terminology. G20, G20 Leaders' Declaration Los Cabos. As summarised in Bernard Hoekman, Proposals for WTO reform: a synthesis and assessment. Policy Research Paper 5525. Washington, DC, World Bank, January 2011. See G20, The G-20 London Summit Leader's Statement. 2009: http://www.imf.org/external/np/sec/pr/2009/pdf/g20_040209.pdf. See ———, G-20 Leaders Los Cabos Declaration. 2012: http://www.g20.utoronto.ca/2012/2012-0619-loscabos.html. See the representation of this dynamic as a Prisoner Dilemma model in Kenneth Abbott, The trading nation’s dilemma: the functions of the law of international trade. Harvard International Law Journal 26 (2) 1985, pp 501-532. This proposition is supported in Kyle Bagwell and Robert W Staiger, An economic theory of GATT. The American Economic Review 89 (1) 1999, pp 215-248, and the later book, The economics of the world trading system. Cambridge, MIT Press, 2002 using a terms of trade model by Wilfred J.Ethier, Political externalities, nondiscrimination and a multilateral world. Review of International Economics 12 (2) 2004, pp 303-320 (based on earlier PIER Working Paper 02-030, September 5 2002 available at http://www.econ.upenn.edu/pier, that uses a political pressure model). In Ethier, Political externalities, a third requirement of gradualness is set out. See table 1 in Martin and Matoo, The Doha Development Agenda: what's on the table? See, p. 169 of Alan V. Deardorff and Robert M. Stern, Empirical analysis of barriers to international services transactions and the consequences of liberalization. In A handbook of international trade in services, edited by Aaditya Matoo, Robert Stern and Gianni Zanini. Oxford, Oxford University Press, 2008. As noted on p4 of Will Martin and Kym Anderson, Agricultural trade reform under the Doha Agenda: some key issues. The Australian Journal of Agricultural and Resource Economics 52 2008, pp 1-16. Also pp 196-198 of James E. Anderson and J. Peter Neary, Welfare versus market access: the implications of tariff structure for tariff reform. Journal of International Economics 71 2007, pp 187-205. See Thomas W. Hertel and Roman Keeney. What is at stake? The relative importance of import barriers, export subsidies and domestic support. In Agricultural trade reform and the Doha Development Agenda edited by Kym Anderson and Will Martin. Washington, DC, World Bank, 2006. See also Table 1.4 in Kym Anderson and Will Martin, Agriculture, trade reform and the Doha agenda. In Agricultural trade reform and the Doha Development Agenda, edited by Kym Anderson and Will Martin. Washington, DC, World Bank, 2006. A subset of WTO members has been negotiating a Plurilateral Agreement on Services. Reports indicate that they intend it to conform to GATT Article V, thereby enabling them to discriminate against non-parties. Heads of State/Government of the Member States of the Association of Southeast Asian Nations (ASEAN) and ASEAN’s free trade agreement(FTA) partners – Australia, China, India, Japan, Korea and New Zealand, Joint Declaration on the Launch of Negotiations for the Regional Comprehensive Economic Partnership. 21st ASEAN Summit and Related Summits. Pnomh Penh, 20 November 2012. For more information on the RCEP see Department of Foreign Affairs and Trade, Regional Comprehensive Economic Partnership negotiations. See the speech made by the Australian Minister for Trade: Craig Emerson, Address to the Plenary Session of the 8th Ministerial Conference of the World Trade Organization. December 15 2011: http://www.trademinister.gov.au/speeches/2011/ce_sp_111216.html.